energy. The co-founders of Beach Solar LLC began the community effort in 2015. Two entrepreneurs began the solar project from the ground up, but the community effort is what’s seeing it through. “This is something that is better for our future and for our kids’ kids. 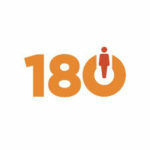 Let’s do it,” said Jeff Burhman, co-founder of Beach Solar. Burhman and his business partner, Terry Wittler, stopped at UNO along their solar power tour, Wednesday night. The discussion is their 12th seminar, but they never set out for this. Continue reading or watch the news story here. Click here to view a Google Earth image of the solar project. This entry was posted in Nebraska / Midwest News, Solar Energy Education and tagged Beach Solar LLC, Capitol Beach Community Solar Project, Capitol Beach Neighborhood Association, Jeff Burhman, Terry Wittler, WOWT News on February 14, 2019 by Helen Deffenbacher. 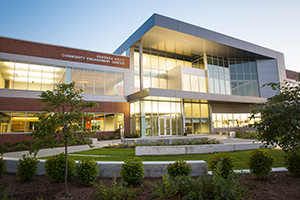 Thank you to everyone who attended our event last evening at UNO’s Community Engagement Center! GenPro Energy Solutions, headquartered in Piedmont, South Dakota. communities, benefiting our state’s overall economy, while growing jobs. The discussion that followed their presentations generated numerous insightful questions from audience members. Thank you to all our attendees, who were mainly from Omaha and Bellevue but also included people from Lincoln, Central City, Elkhorn, Bennington and Council Bluffs. rejoined the law firm Kutack Rock and whose practices include renewable energy and agribusiness. Cliff Mesner, from Mesner Solar Development in Central City, who has completed utility-scale projects in Nebraska, starting with Nebraska’s first-ever community solar project in Central City. NFS invites all four of them back for a future panel presentation and update on our state’s growing renewable energy development. 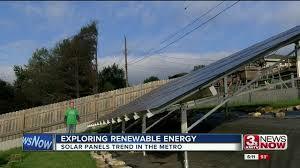 discuss a Lincoln neighborhood association’s community solar project, a first for Nebraska! UNO’s Community Engagement Center, Rooms 230/231. February 13, 2019 – 7 to 8:30 p.m.
belong to a neighborhood association, please share the event with other members. 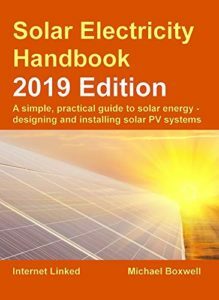 The Solar Electricity Handbook is a simple, practical guide to using electric solar panels and designing and installing photovoltaic PV systems. Now in its thirteenth edition, the 2019 Edition assumes no previous knowledge of solar electric systems. The book explains how photovoltaic panels work and how they can be used. It provides a step by step guide to successfully design and install a photovoltaic solar system from scratch. 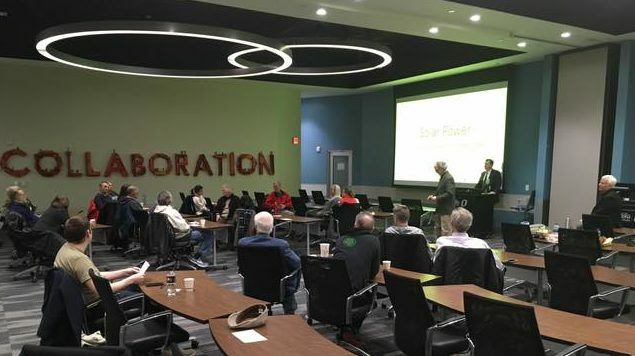 This entry was posted in Community-Scale Solar, NewsBlog, Solar Energy Education and tagged Anna Noucas, Cliff Mesner, David Bracht, GenPro Energy Solutions, Jeff Berggren, Kutak Rock, Mesner Solar Development, Nebraskans for Solar's 2019 series of educational events, Sol Systems LLC on January 10, 2019 by Helen Deffenbacher. successful in a rewarding career. Continue reading here. RE100 Introduction to Renewable Energy is a free course that covers the basics of renewable energy, and is a great introduction for those new to the field, those who are looking to make a career change, or those who just want to learn more about energy from the sun, wind, and water, energy efficiency, and the basics of electricity. Upon completion of the course – with good quiz grades – you will receive a printable SEI Record of Completion. RE100 is made up of ten lessons, each containing a lecture-capture video presentation by an SEI instructor, readings, a quiz, and discussion forums. Your work will be saved as you go and you can return to it later for up to six weeks after you register. 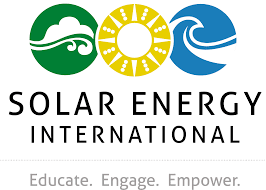 This entry was posted in Solar Energy Education and tagged RE100: Introduction to Renewable Energy, Solar Energy International (SEI), Solar Power World on December 24, 2018 by Helen Deffenbacher. Recordings from the 11th Annual Nebraska Wind & Solar Conference are now available on the conference website. Click Here to View Presentations. 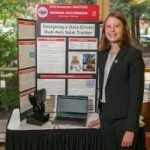 This entry was posted in Nebraska / Midwest News, Solar Energy Education and tagged 11th Annual Nebraska Wind & Solar Conference, 2018 Nebraska Wind & Solar Conference Presentations, wind and solar energy education on November 12, 2018 by Helen Deffenbacher. Thank you to everyone who participated in the first annual Bellevue / Omaha Solar Tour! In addition to Bellevue and Omaha, solar enthusiasts came from Bennington, Elkhorn, Grand Island, Hastings, Lincoln, York, Council Bluffs and Iowa City to attend the first-ever nationally-sponsored solar tour in our region. The event was part of the 2018 National Solar Tour organized by the American Solar Energy Society and Solar United Neighbors. 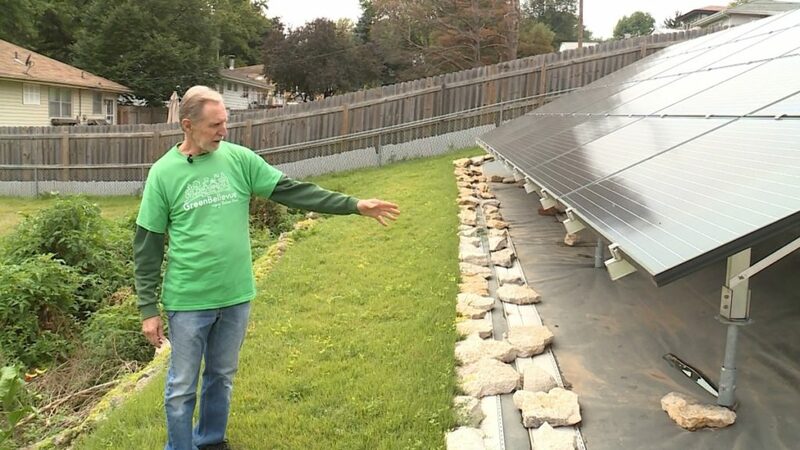 Thank you to local tour hosts Don Preister, shown in the above photo with his backyard solar array, and Eric Williams, the Wetherby family, City Sprouts, Exist Green and OPPD. 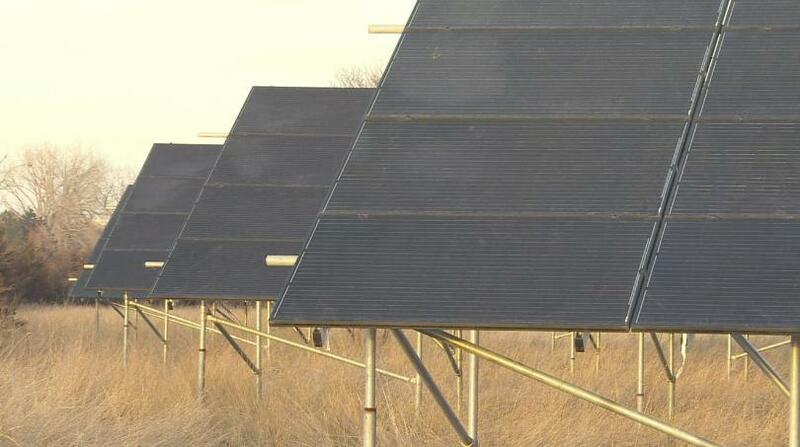 The tour was sponsored by Nebraska Sierra Club, Green Bellevue and Nebraskans for Solar. This entry was posted in Community Partners, Nebraska / Midwest News, Solar Energy Education and tagged American Solar Energy Society, Green Bellevue, Nebraska Sierra Club, solar tours, Solar United Neighbors on October 7, 2018 by Helen Deffenbacher. [Don Preister’s] zero-carbon-footprint achievement has caught the attention of the American Solar Energy Society, which has included Preister’s home on a national list of homes that on Oct. 6 will hold an Open Solar House. Organized locally by Green Bellevue, which Preister chairs, Nebraskans for Solar, and the Sierra Club, Preister will welcome people to his home at 4522 Borman St., from 10 a.m. to 2 p.m. Continue reading here. Photo by Eugene Curtin: Bellevue City Councilman Don Preister stands with his backyard solar array. 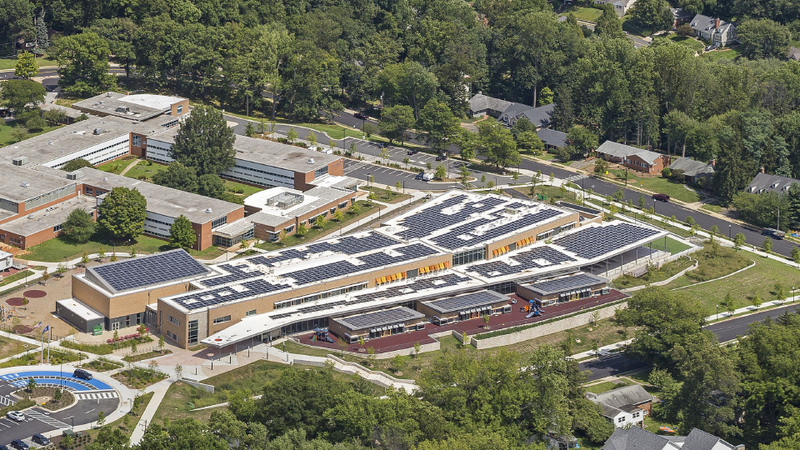 Preister has achieved a zero-carbon-footprint lifestyle and will be part of a national Open House program October 6 where people who have successfully generated their own power explain how it’s done. Don Preister is what you call energy independent. “Being energy independent means I’m generating at least as much or at times more electricity than what I’m using,” said the Bellevue city councilman. 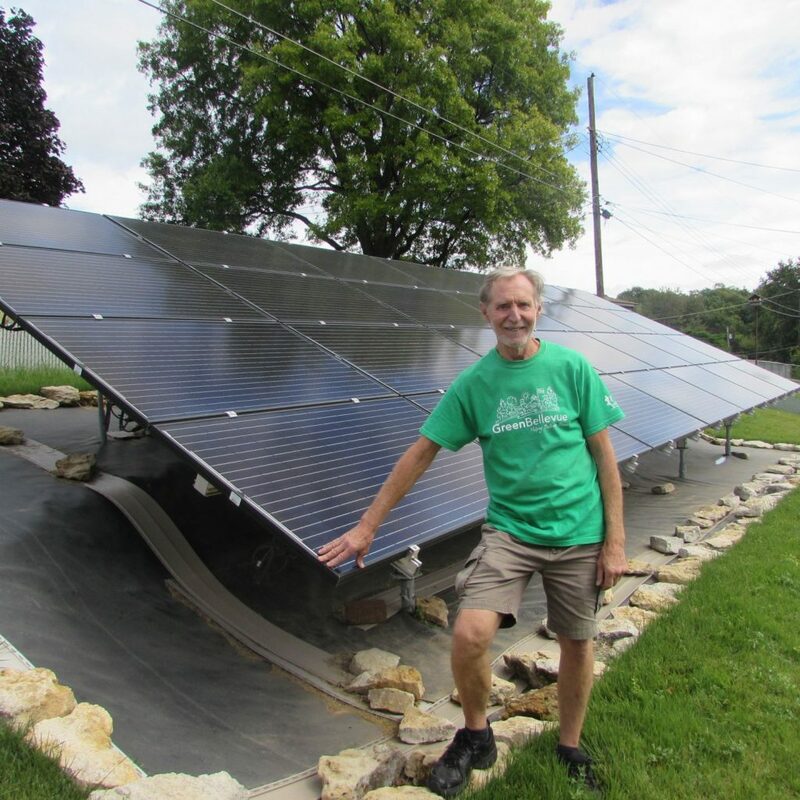 Preister relies on the sun and his 28-panel solar collector to power his home, placed behind his garden. Power bill? Gone. View the video or read the entire transcript here. Please join Green Bellevue, Nebraska Sierra Club and Nebraskans for Solar on Saturday! 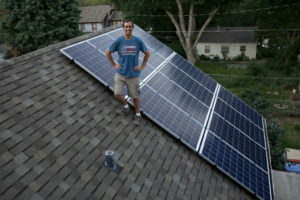 Omaha/Bellevue Solar Tour October 6th from 10 a.m. to 2 p.m. This entry was posted in Nebraska / Midwest News, Solar Energy Education on October 4, 2018 by Helen Deffenbacher. PINE RIDGE INDIAN RESERVATION, S.D. — Henry Red Cloud built Lakota Solar Enterprises and the Red Cloud Renewable Energy Center on his family’s land, a plot of some 30 acres near a remote stretch of highway here. On an isolated expanse of the Northern Plains, it’s one of the harshest environments in the U.S., where temperatures in the winter can drop below zero, the frigidity punctuated by fierce storms able to drop power lines in furies of ice and wind. But Red Cloud doesn’t see the extreme conditions as a handicap. For the last two decades, he has thrown himself into establishing a renewable energy program that can serve as an anchor for heating, electricity and job growth on Pine Ridge, home to the Oglala Lakota Sioux tribe. Read more here. Photo: Henry Red Cloud has led 1,500 trainings for representatives of dozens of tribes in the Northern Plains region. This entry was posted in Nebraska / Midwest News, Solar Energy Education and tagged Lakota Solar Enterprises, Red Cloud Renewable Energy Center, solar energy jobs, solar energy training, South Dakota, tribal solar energy development on September 28, 2018 by Helen Deffenbacher.